CEDAR RAPIDS, IOWA 3/12/2018 – Master Plumbing is proud to announce that it has earned the home service industry’s coveted Angie’s List Super Service Award (SSA). This award honors service professionals who have maintained exceptional service ratings and reviews on Angie’s List in 2017. “We’ve always placed an emphasis on superior service. Everyone is accountable; be it myself or the newest member. 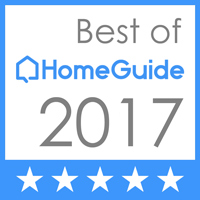 Angie’s List has given us the opportunity to benchmark how we are doing and feel honored to be awarded this title again in 2017,” – Tom Hall, Vice President of Master Plumbing. Master Plumbing has been listed on Angie’s List since 2012. This is the fourth year Master Plumbing has received this honor. Service company ratings are updated continually on Angie’s List as new, verified consumer reviews are submitted. Companies are graded on an A through F scale in multiple fields ranging from price to professionalism to punctuality. Master Plumbing, Heating & Cooling offers a wide range of plumbing, heating, and air conditioning installation and repair services. Whether you are experiencing a leaky faucet or a plumbing nightmare and need a 24 hour plumber right now, give us a call and our experienced staff will answer your questions, offer advice, and work with you to provide an affordable professional heating, plumbing, or cooling solution.